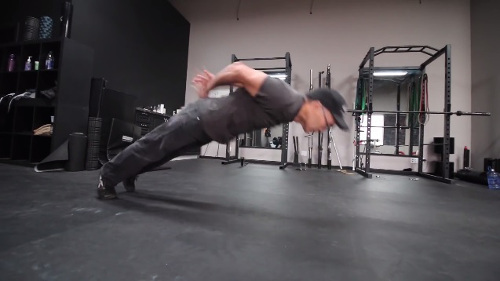 If you believe you’re too old to exercise or have been plagued by injury, I highly recommend watching the brief video below. The 60 year old man seen within will not only offer hope, but also provide ample inspiration. Wayne Quong began training approximately 3 and a half years ago after being diagnosed with frozen shoulder (also known as adhesive capsulitis). In the short time since, Wayne has developed the strength and athleticism to humble many adults half his age. In some ways, you could say that his shoulder ailment was a blessing in disguise. It ignited a fire that’s been burning ever since. Prepare to be inspired by Wayne’s vast range of abilities. He’s strong, athletic, and well-conditioned. It’s amazing that he’s been training for less than 4 years. I’ll be the first to admit that I don’t know what it is like to live without exercise. I can’t recall a time in my life when I wasn’t actively training or in some way involved in athletics. With that in mind, I pay particular attention to someone like Wayne who has lived at both ends of the spectrum. His many years of inactivity are still fresh on his mind. Therefore, he’s one of the few people who can compare two vastly different lifestyles. He knows how it feels to be inactive and extremely capable. Thus, when Wayne says that exercise is essential to live life to the fullest, he says that based on experience not assumption. He’s not just throwing out a generic slogan. He’s offering his perspective as someone who was once physically inactive for over 25 years. I can’t share the same perspective, as I’ve never been inactive for more than a few days at a time. It is nice though to hear Wayne reaffirm what I’ve always thought to be true. Furthermore, it is always great to see someone redefine themselves rather than succumbing to the past. There are plenty of people in this world around Wayne’s age who believe they are too old to change. Hopefully this story along with the others I’ve shared in the age-related category can help to dispel that myth. It’s never too late to change. Working to become a better version of yourself is always time well spent. It doesn’t matter how old or young you are. There’s always an opportunity to improve on who you were or what you did the day before. I love these posts and reading the reply’s from the older athletes who train hard! I’m 58 and still train 6 days a week. Thanks Ross for posting these inspirational stories. I love stuff like this! I’ll be 59 in a month and a half and still train hard and look for new ways of pushing myself. But this guy is over the top man! I’ve had a few setbacks but try not to let them bother me. Had a heart attack 6 years ago. Not bad health but family history; Docs said no way to escape it. Had open surgery on my rotator….and most recently a hernia surgery. But I never look at what I might not be able to do but rather focus on what I can. I look at like a fight. After a knockdown or when exhausted, I can give up or stay down or I can reach deep and get back up. Always move forward. Now, after seeing this guy, I see I have work to do and will be moving forward some more. next year when I’m 60 I want to be better! Always new goals. Or as I like to look at it “journeys.” I don’t focus on “destinations” (goals) either. Somehow that makes me think of an ending. My path is endless. Ross is always proving the point that age is nothing. We really do not know what can be accomplished with the human body. We just need to get up and get to training and see what can be done. Age just another number and he has proven that. His techniques are what made him standing the crowed. You truly are an inspiration. Thanks. Ross, that last paragraph you wrote about “its never to late to change” really inspired me. Thanks. I really hate 60 year olds who are in better shape than me. 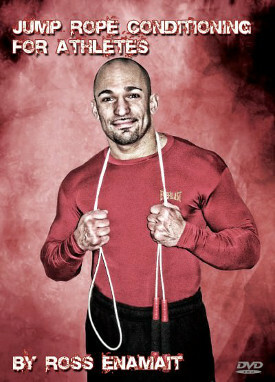 :-D. Seriously though, that guy is a badass and gives me inspiration to keep pushing to improve my conditioning. Thanks for posting Ross. Well, indeed it is never too late too start. But, would be interesting to see a before photo – to know what his exact fitness level and medical condition was prior to his training before hand – and indeed, what his fitness level was up until he was 35 years of age.